I’ve been working on an analogy, here in the TimeBlimp machine shop, that when finished will deftly illustrate how physicists are the Kennedys of the science world. Much like the famous Kennedy clan, who make politics and statesmanship look easy, physicists are known (and resented) for breezing around to other scientific domains, producing striking achievements in these other fields despite having little training, no credentials, and generally not putting in the proper time to learn the particular area. My analogy breaks down with the observation that the Kennedys are all physically attractive. 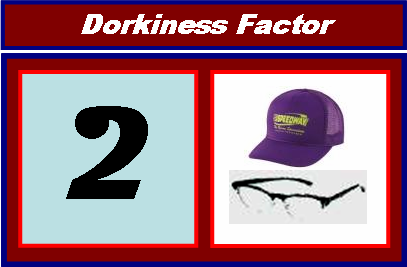 I haven’t met an attractive physicist yet, and since it stands to reason there ought to be one out there somewhere, I deduce that it must be me. Aside from being ruggedly handsome, I also share with the Kennedy family the tendency to jump into other fields (in my case biology), though I’m not nearly as accomplished as other physicists who have done this. 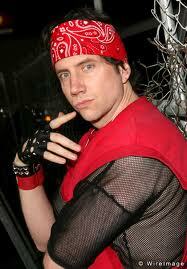 To continue the Kennedy / physicist analogy, I’m Jamie Kennedy. My education is in biophysics, so I’ve met and worked with dozens of arrogant physicists who feel they can jump the fence over to biology to “show them biologists how it’s done”, knock down a few hard problems that the biology folks can’t solve. To the chagrin of biologists, these guys are often right. In his book, written in 1944, he took a stab at guessing what might be behind the inheritance of genetic information (how exactly our traits get passed down from our parents), and got it pretty much right, from thought alone — no experiments, no microscopes, he just reasoned out what sort of mechanism might be responsible, and what he described is instantly recognizable as DNA. Keep in mind, before he and his friends invented quantum mechanics, nobody could explain why molecules of any sort (much less DNA) were even physically stable. Hell, only 40 years earlier, Einstein provided the first actual evidence that *atoms exist*. 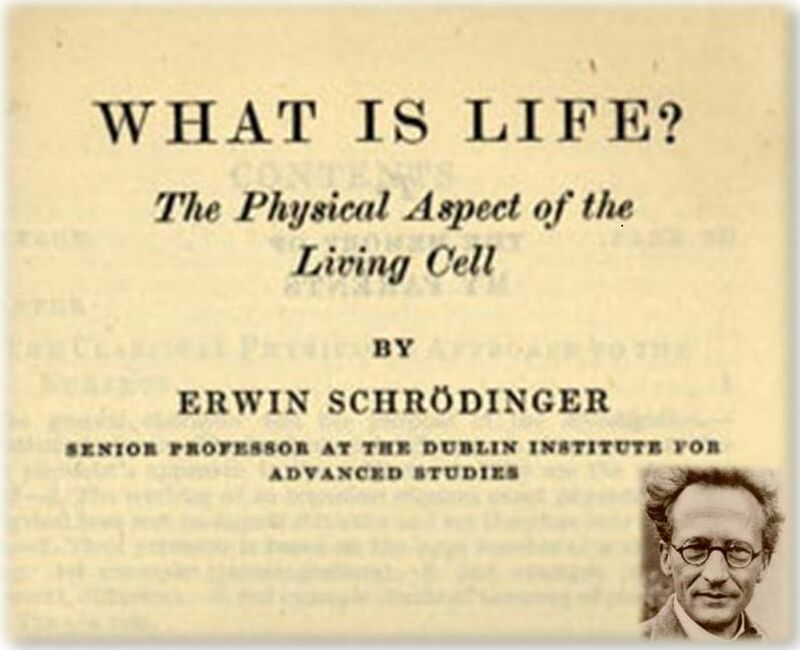 When Schrodinger wrote this book, the idea that purely physical stuff inside your body could be responsible for genetic inheritance was not such a safe bet. There was at that time some initial research on DNA, but people didn’t know what it was for — some thought it might just be scaffolding, to help hold the cell up, a mistake akin to thinking the wall studs in your house could be used to check your email. Schrodinger’s book inspired countless other physicists-turned-biologists. (Incidentally, towards the end of the book Schrodinger also turns his attention to consciousness, one of the Pillars of Overambitious Theories of Everything that I discuss in my article “I’ve got a theory”.) His prediction that genetic inheritance comes from an “aperiodic crystal” (poetic, ain’t it?) launched a whole generation of physics students to ponder whether biology might be a bit more fun to pursue. He in turn was inspired by Max Delbruck, the father of molecular biology, who was probably the very first physicist-turned-biologist. All you mol-bio students out there struggling to clone fruit flies in a petri dish (or whatever the hell you do) might be surprised to know that the scientist who started your field got his PhD in astrophysics. 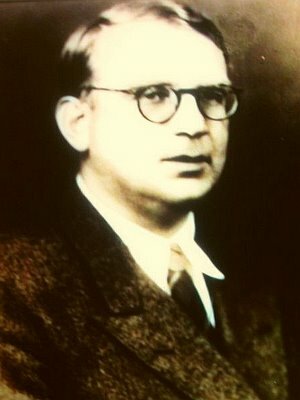 Delbruck was a promising young theorist, working with the physics giants of the day like Niels Bohr and Wolfgang Pauli, before converting to biology. He went on to found the molecular genetics group at Caltech, which became the center of early work on DNA — essentially his lab was the first group to examine how DNA works (mutations and the like), accomplishments for which Delbruck won the Nobel Prize in 1969. Delbruck himself was inspired to think about biology even before World War II, by the great physicist Niels Bohr (of the Bohr-model-of-the-atom fame). You B-minus physics students out there might snicker about the “Bohr model” being aptly named, but that is why you’re getting a B minus and Delbruck won the Nobel Prize. You can trace a direct line of inspiration from Bohr down to Delbruck then to Schrodinger, a line that would then lead to perhaps the greatest discovery in 20th century biology. 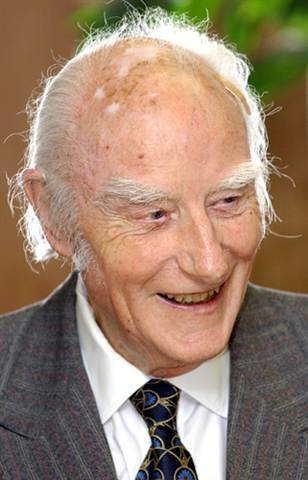 Which brings us (as you might guess) to Francis Crick, an intellectual giant with the eyebrows to match, and perhaps the greatest biophysicist ever. Unless you live under a rock, you’ve already heard of Crick as part of the famous pair “Watson & Crick” whom you vaguely remember had something to do with DNA, and whom you also think won best Country Duo Grammy in ’87. I happened to see him in person at a seminar at UC San Diego a few years ago, and he was clearly the smartest, most well-respected guy in the room (which was full of other esteemed, famous professors). He was the prototype hard-nosed scientist, essentially a walking & breathing personification of the physics hubris. He also had eyebrows that I could feel 30 rows back in the seminar auditorium. So exactly what did he do? 50 years before “biophysics” was a trendy college major, he approached DNA as a physics problem. What he and James Watson did was to piece together just exactly what DNA looks like physically, the spiral-staircase shape that we now all know and love and build mock-ups of from toothpicks and marshmallows while everyone else is at the prom. (Whoops, did I type that out loud?) So why exactly is this such a big deal? In a nutshell, you’ve got to know what it looks like to understand what it does, and understanding what it does was the holy grail in all of biology at the time. For my money this accomplishment isn’t even as important as another of his accomplishments, his work in figuring out the “genetic code“. The genetic code is, to put it succinctly for once, the scheme of how a particular string of DNA letters is read by a cell to manufacture a particular protein. Say, “AGGAGTTACCAGATTA” might code for the protein in those giant kegs of powdered protein drink that your roommate drinks every morning to get “yoked”. Crick was instrumental in figuring out the code, which like his work on the structure of DNA, really needed a physicist’s perspective to solve. Not that he used physics equations in his work (“assume the DNA is a sphere…”), but he had the quantitative problem-solving skills that were needed in this new era of biology. Later in life Crick switched fields to the study of consciousness, figuring that with his tenure and Nobel prize, if anyone could work on something as outlandish as consciousness without being fired, it would be him. In fact, that’s where I saw him in person, at a neuroscience seminar held at a consciousness-oriented research group where he held court. Today, mainly because of him (and Schrodinger before him), consciousness is now a proper field of study in biology departments across the country. For more on the fascinating way preeminent scientists are drawn to the study of human consciousness like a moth to a bug-zapper, often to find their reputations vaporized the same way, see our article “I’ve Got an Idea…” — but for now, let’s get back to the hunt for the genetic code, which was the hot-button issue of the 1950′s and was about to attract another physics bigshot. Back in the postwar days, everyone in science felt the intoxicating thrill of rapid advances in understanding DNA being pushed forward in part by Francis Crick and Max Delbruck. George Gamow, one of the most highly-respected theoretical physicists of the day, became enamored with the excitement surrounding DNA at the time, and decided to try his hand at solving the problem of the genetic code. Gamow would later become famous for his theoretical prediction of the cosmic microwave background (the afterglow of the Big Bang), a prediction so far ahead of the curve that everyone forgot him when the glow was actually detected experimentally. In probably the very last example of a pure amateur contributing to the frontiers of important research, Gamow worked out an elegant scheme for how DNA makes proteins, a scheme that fit the observed data so well, was so simple, that it must have been quite a disappointment to discover was completely and utterly wrong. Gamow noted that amino acids (the building blocks of proteins) just about fit perfectly in the gaps between the rungs of the DNA ladder, specifically in little diamond-shaped holes with four adjacent DNA bases at the corners. 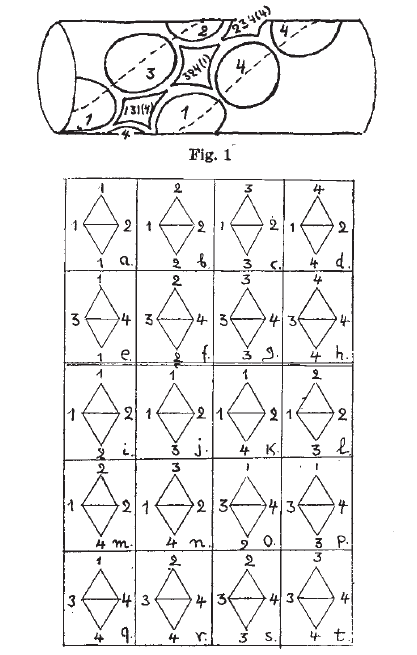 What’s more, since there are four kinds of bases (A, G, C, and T), there turn out to be twenty different unique diamonds made by all possible combinations of bases at the corners. And there just so happens to be twenty different amino acids that chain together to form any possible protein. It’s tempting to envision each of the twenty little diamonds permitting one (and only one) of the twenty amino acids to drop neatly into the slot in the DNA ladder — so if you need to make yourself a particular protein, just go get yourself the corresponding stretch of DNA, throw it into an amino acid soup, and let the little guys find their matching holes to line up in the right order. Theories that fit together this neatly just aren’t wrong. Ever. There have been much uglier theories that won Nobel Prizes. But no, we now know this idea is completely wrong, is not even close to how nature actually accomplishes protein formation — Crick and others in fact pointed out subtle problems in Gamow’s idea almost immediately. Still, it was a good try, and it got him published in the prestigious journal Nature — not a bad consolation for one of the greatest wrong ideas of this century. Gamow is another good example of the Hubris of Physics ™, characterized by outgoing, supremely confident, playful yet arrogant nature of the field-jumping physicist. Gamow was apparently known to be a funny guy — well, funny in a physics way, the kind of way that makes comb-overs flop in mirth. He once got another preeminent physicist, Hans Bethe, to be a coauthor on a paper with him and Ralph Alpher, forming the coauthor triplet Alpher, Bethe, Gamow. (Get it????) (Sounds kind of like the first three letters of the greek alphabet, “alpha beta gamma”?) (GET IT???) (Ehhh, you had to be there…) If there is a more concentrated, over-the-top example of this caricature of a physicist than Crick or Gamow, it’s another famous physicist named Richard Feynman, a theorist who is an absolute legend in the world of physics, probably the very best American-born physicist ever. And lo and behold, Feynman also moonlighted in biology as a hobby, and again casually outperformed (and probably pissed off) many expert biologists of the time. 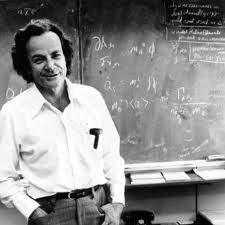 I’m not ashamed to admit that I have a man-crush on Richard Feynman, and I’m not alone — he’s become a folk hero in physics, a larger-than-life figure with an outsized personality probably never seen in theoretical physicists. Grad students in quantum theory probably have a pin-up poster of him on their walls. For a while, books by or about him dominated the “Science” shelf at your local bookstore. (Yes, your local bookstore. I checked.) His enthralling exploits have been so well-documented that I don’t need to go into them here (in fact one of the mission statements of the timeblimp website is to avoid such well-trodden territory), so check out his own autobiography to fall in love with the man yourself. Feynman was a professor at Caltech during the same postwar boom that birthed molecular genetics. While his day job was the development of Quantum Electrodynamics (for which he won a Nobel Prize), Feynman was talked into spending one of his sabbatical years working on microbiology projects by none other than Max Delbruck (also at Caltech). For a while, this future Nobel winner and legendary physicist was working side-by-side with Delbruck’s grad students. Feynman liked to affect an “aw shucks” bumbling innocence in fields outside his own, yet he managed to do well enough in Delbruck’s lab to impress James Watson (the other DNA guy), and very nearly made a major contribution to the field. He was apparently the first person to ever see something called “intragenic suppression” (not nearly as painful as it sounds), but was too lazy or sloppy to wrap up his work for publication. I’m sure his refusal to take his work seriously must have *infuriated* the other poor folks in the lab who were actually trying to launch a new field of biology, but it’s typical for a scientific giant like Feynman. He simply walked away from the petri dishes and back to physics. DNA as a physical object: Put aside for a moment the fact that DNA is critical to all life on earth, and ponder how strange it is, just as a physical object. Each human cell contains six feet of DNA, long strands of single molecules that somehow pack themselves into a tiny space without getting hopelessly tangled. A whole field of biophysics research has continued what Francis & Crick started in the area of understanding the physical properties of DNA as a polymer molecule. DNA as, you know, an important biomolecule: Okay, you can now refrain from putting aside the fact that DNA is critical to all of life. One of the largest areas of biophysics research is the physics of large biomolecules — how do they interact with each other? LOTS of researchers work in this area spanning physics, chemistry, and biology that tries to understand how biochemistry works. DNA as an information-processing system: Thinking about DNA more abstractly, it’s reminiscent of a gigantic computer program — all the information our bodies need to keep going is contained in that molecule. Think about this — DNA even contains instructions to make the machinery needed to read the DNA — it’s all self-contained. And many of the bits and pieces encoded in DNA interact with each other in a complex web of genetic control. Some of those pieces even turn back and modify the DNA itself. Another exciting area of biophysics is found at the intersection of biology, computer science, and math, and happens to be populated with lots of physicists. There’s a slew of researchers in physics departments who work on modeling genetic information processing, a topic you might be surprised to find in a physics department. Pretty cool stuff, eh? The field is advancing so rapidly, and traditional disciplines overlapping so fundamentally, that 20 years from now you might find it hard to categorize a particular researcher into a single academic department. Already you’re seeing new names being coined for these interdisciplinary research areas (names like “Systems Biology”), as the old names are just too inadequate. And it all is in no small part to the efforts and attitudes of those pioneering physicists several decades ago. Of course the biologists out there would rightly point out to me how this new field is being populated by just as many biologists, people trained in traditional biology yet who aren’t afraid of a differential equation or complex molecular simulation. All of this is healthy for the field and will no doubt drive the next wave of advances in understanding how DNA works.